Monthly VIP Pass Option, Too! Beat the Florida heat and head indoors for FUN and ADVENTURE at Flippo's Family Fun Center in Fort Lauderdale! 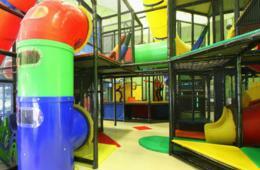 Flippo's is the perfect place for kids ages 6 mos.-14 to play, socialize and explore! 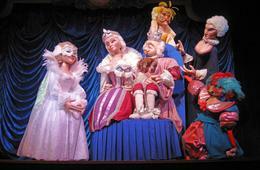 Parents are invited to join in the fun and engage with their children in their many attractions. Indoor Playground - This state-of-the-art “edu"tainment center creates a soft, contained play area that encourages climbing, exploring, learning and, most importantly, playing. Laser Maze - It's Mission: FUN! Test your quick thinking and agility as you tiptoe, stretch and weave your way through the lasers without getting caught. Time Freak - Race against the clock (or a friend) in a reflex-testing game of speed. The goal is to push the most buttons as they light up around the activity room. Toddler Area - Great for the littlest Flippo’s fans, this safe, clean space is loaded with padded, multicolor shapes, toys and wall puzzles for children 3 and under. Ball Blaster - Suitable for all ages, you'll dive, dodge and duck past a frenzy of foam balls exploding from the central volcano, falling from above, and shooting across the room from kid-operated ball blasters. All-Purpose Sports Court - Challenge friends to a game of soccer, practice your slam dunks and free throws, choreograph dance routines or let your imagination run wild and make up your own game! 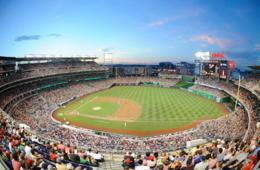 Flippo's provides the sporting equipment; it’s up to you to choose how you play! All of the activity making you hungry? Stop by Flippo's on-site cafe and grab some grub to refuel before your next activity. They offer kid favorites as well as healthier menu options for everyone in your family. See the full menu HERE for all of their tasty offerings. There's so much to do at Flippo's, your family will want to return again and again. 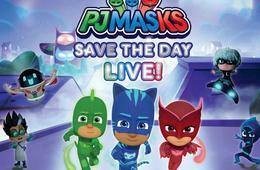 Grab CertifiKID's deal for a VIP Monthly Pass and you'll get a second month FREE! 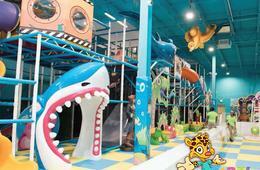 $7.99 for TWO Flippo's Daily Admission Passes - Valid for Ages 6 mos - 2 yrs ($15.98 Value - 50% Off). 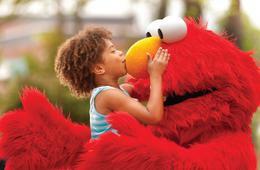 $13.99 for TWO Flippo's Daily Admission Passes - Valid for Ages 3-4 ($27.98 Value - 50% Off). 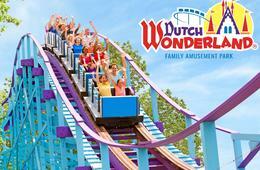 $15.99 for TWO Flippo's Daily Admission Passes - Valid for Ages 5+ ($31.98 Value - 50% Off). 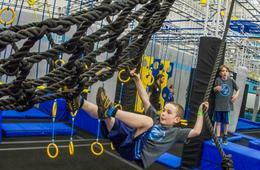 $30.96 for a 2-Month Flippo's VIP Pass - Valid for One Child Ages 6 mos. - 2 yrs. ($61.92 Value - 50% Off). 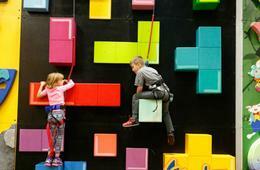 $49.99 for a 2-Month Flippo's VIP Pass - Valid for One Child Ages 3-4 ($99.98 Value - 50% Off). 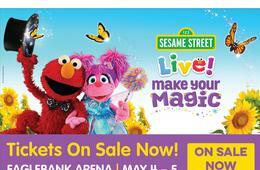 $57.99 for a 2-Month Flippo's VIP Pass - Valid for One Child Ages 5+ ($115.98 Value - 50% Off). 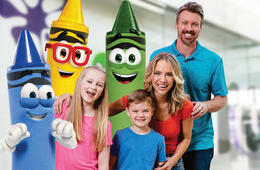 $199.99 for a 2-Month Flippo's VIP Family Pass - Valid for up to 5 Children in the same family ($399.98 Value - 50% Off). With your VIP Monthly Pass, you get UNLIMITED free access to Flippo's Family Fun Center, 10% off café purchases for the duration of the pass and $25 off a birthday party for family or friends. Flippo's is geared toward kids ages 1-14 but encourages parent participation in all activities and attractions. Children 6 mos. and under are FREE. Valid for all Public School closings and holidays including Summer Break. Regular operating hours are Sunday - Thursday, 10 a.m. - 7 p.m. and Friday - Saturday, 10 a.m. - 9 p.m.
Day Passes: There is no time limit to how long you can play however once you leave the premises your day pass is no longer valid. Children must be accompanied at all times by a parent or guardian over the age of 16. No outside food or drink permitted. Flippo's offers an on-site cafe. Socks are required to play on all equipment and may be purchased from the retail counter. All participants must have a signed waiver. Access the on-line waiver HERE. Expiration reflects date by which Daily Admission Passes and VIP Monthly Passes must be activated. Please present your voucher for entry, printed or on a smartphone. Questions? Need More Information? Please contact Flippo's Family Fun Center at 844-354-7767. Valid only at Flippo's Family Fun Center. Multiple vouchers may be purchased and redeemed. Cannot be combined with any other special offers, promotions or discounts. Not valid on prior purchases. Vendor is responsible for the quality of the products or services provided at redemption. Operating hours are subject to change; check directly with vendor prior to visit. Merchant cancellation policy applies.